Inaho is the Japanese term for “ear of rice” which serves as a symbol of a great harvest or prosperity. It’s an appropriate name for what is arguably one of the best Japanese restaurants on the Cape, drawing a large clientele from local and neighboring communities. The quality of any Japanese restaurant can easily be judged by the freshness of its oceanic offerings. At Inaho, the salmon, tuna and other raw fish is so fresh that it tastes as if it’s never touched ice. 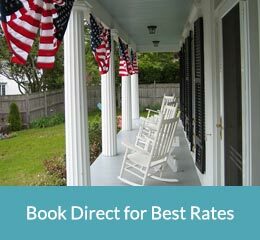 The Old Yarmouth Inn, established in 1696, lays claim as the oldest inn on Cape Cod. Situated at the halfway point on the long day and a half journey from Plymouth to Provincetown, it became a welcome haven for the weary traveler in need of lodging, food and drink. In early colonial times it was very common to build taverns close to churches. After long hours in unheated churches parishioners would gather in front of a warm fire and enjoy refreshments provided by the innkeeper. Contemporary Cuisine. Open Year Round. Fin features contemporary seafood and more using local ingredients from farms, seafarms, and sustainable fisheries. House made desserts top off artisanal cooking at it best in a comfortable Cape Cod setting. Menu and Reservations go to their reservations page. Off Season Hours: Tuesday through Saturday from 5 PM (till Memorial Day). Summer Hours: 7 Days from 5 PM (till Labor Day). A French Bistro menu with classic dishes, mixed with contemporary world flavors. They are dedicated to using the freshest ingredients of the highest quality, while staunchly supporting local farmers. Always fabulous, sometimes even sublime – the only drawback is the no-reservations policy, which sometimes equals painfully long waits for this relatively small restaurant. A very casual place with a large variety of meals to choose from, whether your preference is Mediterranean, Italian or American cuisine. All our food is prepared using top quality ingredients and served fresh to you. Right on the beach in a busy boatyard, this clam shack promises one of those authentic Cape Cod experiences that are becoming harder and harder to find. It’s worth seeking out the family-owned establishment for its picture-postcard views and tasty food. Specialties include clam chowder, lobster rolls, and fried clams. Order from the counter and find a seat at one of the picnic tables outside. Order from the counter and find a seat at one of the picnic tables outside. Remember it is cash only and they close at sunset! This is a true Cape Cod clam shack, not pretty – you’re there for huge portions of fairly priced, “nothing-fancy” fresh fish freshly fried, plus great burgers and soft-serve ice cream; Dennis locals deem it “a must” after a hard day at the beach. A noteworthy stop on any Cape-wide ice-cream crusade, this cheerful parlor — in its third decade — dispenses terrific custom homemade flavors, as well as seductive sundae concoctions and fudge-bottom pies. It is close to the Cape Playhouse and several bay beaches. With a fine French chef they offer “phenomenal” bakery items and “unreal desserts” so get there early before they run out – no matter how long the line is, just join it and prepare to be dazzled. Convivial and casual, this Chatham neighborhood place is dependable for pub staples and surprising eclectic dinner specials, which can be truly excellent. In an old church, this place can be inventive and has outstanding seafood. It comes in huge portions. Its upscale environs boast a great bar scene and a staff that aims to please. A must-eat in P-town, this “reliable” landmark cooks up classic, no-nonsense seafood dishes with Eclectic influences on two floors, displaying gorgeous bay views. At this authentic English tea room, in an early 1800s Sandwich carriage house, the edibles include wonderful fresh soups, sandwiches and salads, plus delectable pastries such as warm scones. Atlantic Fish, a landmark for Boston’s best seafood, offers guests the freshest fish and seafood available. New menus are printed every day to reflect only the freshest seafood available. There is an enchanting outdoor patio that is the perfect spot for enjoying cocktails and signature seafood dishes. The three-story building that housed Le Bistro for 30 years. The second-floor dining room is marginally more formal — there are tablecloths — but climb the steps to the third level. The tables are bare, but it’s a happier space, with the bar, views of the harbor, and a convivial crowd to enjoy them.